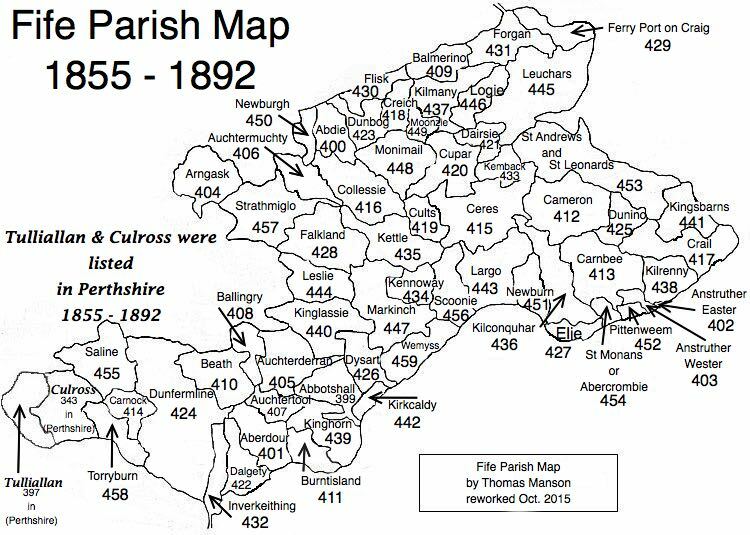 Parish of Collessie – The Fife Post………..for genealogy and historical information. COLLESSIE, a parish, in the district of Cupar, county of Fife; including the villages of Edenton, Giffordton, Kinloch, Ladybank, and Monkston; 5½ miles (W.) from Cupar. This place, which is situated on the road from Cupar to Auchtermuchty, is supposed to have derived its name from the position of its village at the bottom of a glen, of which, in the Gaelic language, the term Collessie is significant. The former church, an ancient edifice, being ill adapted for public worship, and too small for the parish, another was erected, a handsome building somewhat in the English style, with a short square tower, and capable of seating 550 persons. There is a place of worship for members of the Free Church.